Back in 2010, it seemed like the book was as good as closed on the God of War franchise. Not due to quality issues (that year’s God of War III and Ghost of Sparta were critically acclaimed), but because it seemed that there was no place else to go. Kratos’ quest for revenge had led him on a rampage through the pantheon of Greek gods and culminated with the death of his father Zeus. We had performed hundreds of QTEs, killed dozens of gods in the grisliest of manners, and heard plenty of angry Kratos screams. We were done. When Ascension was announced a few years later, you could almost hear the collective groan from the gaming world. It was yet another prequel, it didn’t introduce much in the way of new gameplay, and Sony confusingly led its marketing with a multiplayer mode that no one was asking for. It wasn’t a trainwreck of a game, but it was far from eventful and didn’t necessitate the return of the neatly tied-up series. At E3 2016, we saw our first glimpse of yet another return to God of War. Unlike Ascension, this reveal felt like far more of a departure from the franchise’s past. Kratos wasn’t screaming at the heavens or tearing a minotaur’s horn off and using it to disembowel him. Rather, the nearly ten-minute trailer focused more on dialogue between the protagonist and an as-yet-unknown son. I was excited about the prospect of taking God of War in a new direction, but I also wondered if I’d enjoy it as much. I had always loved the over-the-top brutality in the same way that I enjoyed Mortal Kombat’s cartoonish fatalities. My favorite moments included beating Zeus to death until the screen was covered in blood, tearing the massive fingernail off of a titan, and in perhaps my favorite moment in the series, slamming a metal door onto the head of Theseus for way too long. God of War was a hilarious, over-the-top, violent revenge story, and I loved it for that. I worried that a more “mature” take on the series would be like remaking Commando with an emphasis on the relationship between Col. Matrix and Jenny instead of an emphasis on rowing a boat up to an island and killing tons of bad guys. Of course, God of War wouldn’t have seen the massive success it enjoyed if it were based solely on blood and guts. 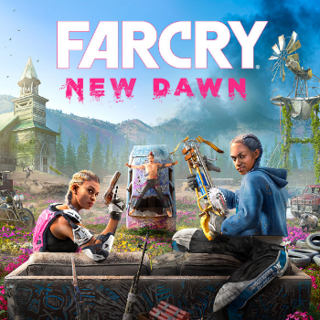 Rock-solid gameplay ensured that it was more than a one-trick pony, so I hoped this PS4 reboot would satisfy on the gameplay front even if the “screaming and killing” tone had changed. The games of the original trilogy began by impaling the head of a Hydra on the mast of a ship, destroying a rampaging colossus from the inside, and poking out Poseidon’s eyes and throwing him off a cliff. By contrast, Kratos spends most of his time in the early hours of the new game by chatting with his young son. Compared to the seemingly intentional lack of nuance in the series’ past, it’s handled extremely well this time around. Kratos is no longer a screaming avatar of rage that expresses himself via quicktime event. He’s older and sadder, with a quest of fulfilling a loved one’s dying wish instead of exacting vengeance on every god that crosses his path. At the outset, he seems to be simultaneously preparing his son Atreus for a life as a warrior while also trying to steer him away from the path he took for himself. He’s harsh and humorless in the face of Atreus’ childlike playfulness and inquisitive nature. If the topic of conversation isn’t about focusing in combat or removing emotion from killing, Kratos seems to have no time for it. If this were the tone for the entire game, it could quickly become tiresome. Thankfully, this new world (set in Nordic mythology for the first time) is populated with plenty of characters that aren’t amused or intimidated by Kratos’ gruffness. There are several new characters (including Atreus) who call him out on his attitude or poke fun at how much of a ridiculous grump he is, and he never really seems to know how to respond. We spend several hours getting accustomed to the new world, characters, mythology, and father/son dynamic. 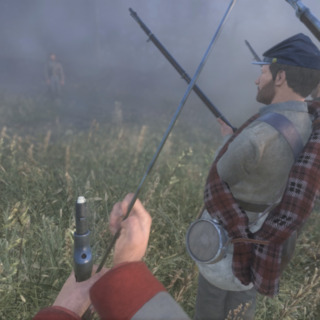 These hours aren’t without the occasional skirmish, so you’ll also have some time to get accustomed to the new over-the-shoulder camera and completely overhauled combat system. The new perspective and Kratos’ Leviathan axe instantly feel more deliberate than the iconic, crowd-clearing Blades of Chaos. Your abilities are limited in use early on, with little to do other than light and heavy swings, bare-handed attacks, blocking with your shield, throwing the axe (with a boomerang-like return), and commanding Atreus to fire his bow in the general direction of the camera’s view. Combat has changed in more fundamental ways than “it’s over-the-shoulder and you have a kid now.” Rather than the face button-centric combat of the past, the majority of attacks are now handled via some combination of the triggers. Instead of a directional evade controlled by the right analog stick, you can now block (or parry) with L1 or roll out of the way by double-tapping X. It takes some time to get used to and I found myself messing up for many hours before I acclimated myself to the new system. Once everything clicks into place and you’ve earned some upgrades, combat feels as intense and responsive as ever. I felt limited in my axe attacks in the early hours, but your combat capabilities continuously evolve over the course of the game. By the end, I was utilizing my weapons, bare-handed techniques, two special Runic attacks, a talisman ability, a rage meter, tons of unlocked combos, and numerous Atreus abilities to control and defeat large groups of enemies. Once you know what you’re doing and you have plenty of moves at your disposal, combat becomes more satisfying than the mash-friendly encounters of the past. Atreus is just as critical to combat as he is to the game’s story. You can use him to pull enemy attention and deal damage via his arrow attacks, and it never feels like he’s in the way or requires babysitting. It’s an even-better implementation of a companion than Ellie in The Last of Us. While she didn’t require a lot of protection either, she’d sometimes break immersion by running around in plain sight during a stealth sequence. That isn’t an issue in God of War, as Atreus fits in perfectly at all times, whether it’s a combat encounter or a father/son chat while rowing across the Lake of Nine. Hopping into that boat with Atreus is the first real taste of just how open and different the format is this time around. Previous God of War titles were strictly linear, with only the occasional branch off the main path (almost always to find a hidden chest). A story objective is clearly marked once you reach the lake, but it’s immediately clear that you’re free to explore at your leisure. The Lake of Nine almost feels like Hyrule Field in a 3D Zelda game, serving as a central hub that connects a wide variety of smaller locales and challenges. Between almost every story beat, I loved sailing around to side areas to see what I could find. More often than not, my exploration would be rewarded in the form of side stories, clever puzzles, hidden collectibles, or new gear. I was initially excited about the prospect of a robust customization system in a God of War game, but it doesn’t quite work as well as I hoped. You can discover and craft a wide variety of armor, talismans, axe pommels, runes, and more, but everything from the interface to the inventory management feels a bit half-baked. New crafting materials are constantly being thrown at you (especially late in the game) with little explanation of what they’re for. A “resources” tab in the menu doesn’t always clear things up, such as when I started finding things like Symbols of Perseverance in treasure chests but no mention of them anywhere else in the game. Some materials are tied to rare enemies, so I had no idea if their supply was inherently limited or if the necessary enemies would respawn at a later time. I also found little reason to change out gear or runic abilities unless it was for a significant, obvious step up in rarity. Once I found something I liked, I’d funnel tons of materials and currency into upgrading it. I’d eventually find some new base-level gear or ability, but I’d already be so invested in whatever I was currently using that I wouldn’t want to start the process again with something that was untested. God of War’s first gear system doesn’t knock it out of the park, but it’s at least cool to see new armor represented visually on Kratos. Each element of this game’s visual design is impeccable, melding the stunning scenery the earlier titles were known for with technical brilliance that rivals the best we’ve seen from Naughty Dog. Titles like Uncharted: Lost Legacy and Horizon: Zero Dawn have made great cases for a PS4 Pro and a 4K television, but God of War’s visuals are a bigger selling point than anything I’ve seen on Sony’s platform to date. Dark caverns and blinding ethereal locations make great use of HDR, and the art design of the various environments is bound to look amazing regardless of what you’re playing on. 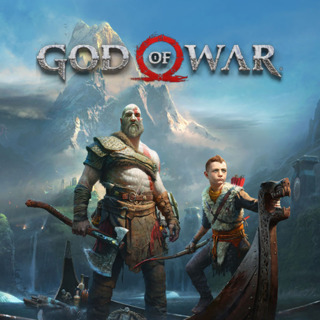 I was excited for a new take on God of War, but I don’t think I could have expected what Sony Santa Monica pulled off with this one. Those first three games are among my favorite games of the 2000s thanks to their visceral combat, stunning environments, grand scale, satisfying upgrades, and memorable boss fights. I even loved the skin deep, silly nature of its narrative and violence. This new entry proves that it can provide all of the positive qualities of the franchise’s past while expanding on and evolving them in every conceivable way. 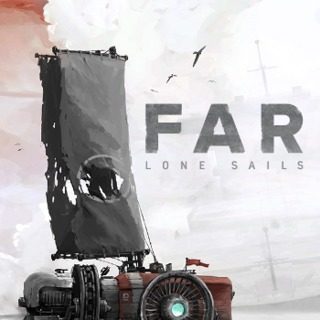 The new combat system is excellent, the numerous puzzles are clever and rewarding, a more open format gives you plenty of reason to explore, and the entire adventure is at least three times longer than any of the original games without ever feeling padded out. Perhaps most importantly, I didn’t know how much more ground could be covered with Kratos as a character. The new Nordic mythology obviously gives Sony Santa Monica plenty of new material to play with, but it’s the new Kratos that’s responsible for the game’s most striking evolution. I’ve played through five God of War games as this character, and never saw him as much more than “the tough screamy guy that’s gonna kill all these gods in hilarious ways.” Now, I find myself just as invested in the quiet conversations Kratos has with Atreus as I do with my newest weapon upgrade. God of War grew up, and the result is the best entry in the series.